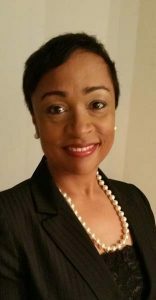 Baltimore, Md., (April 24, 2017) — The Daily Record named Christina Fitts, Vice President of Arrise Consulting Enterprises to its 2017 listing of Maryland’s Top 100 Women. A record number of 435 women were nominated this year for the statewide honor. Nominees were asked to complete an application outlining their educational and career history, professional and community involvement, corporate and nonprofit board memberships, and mentoring experience. They were encouraged to submit letters of recommendation from those who are familiar with their accomplishments professionally, in the community and through mentoring. The awards event took place on Monday, April 24th, at 5 p.m. at Joseph Meyerhoff Symphony Hall, 1212 Cathedral St., in Baltimore.